I have to say, this is always my favorite weekend of the year. Adams Avenue Street Fair and CRSSD Festival are this weekend, as are San Diego's own versions of Oktoberfest. But what has me excited tonight is Black Kids at the Casbah. They recently released their first record in a decade, so if you think back to when they were super active, Beauty Bar was the hot spot on the local scene, North Park was just beginning its big re-emergence, and beers were still under $5. Tonight, catch the dancy-pop band at the Casbah and remember the good 'ol days of the early oughts. 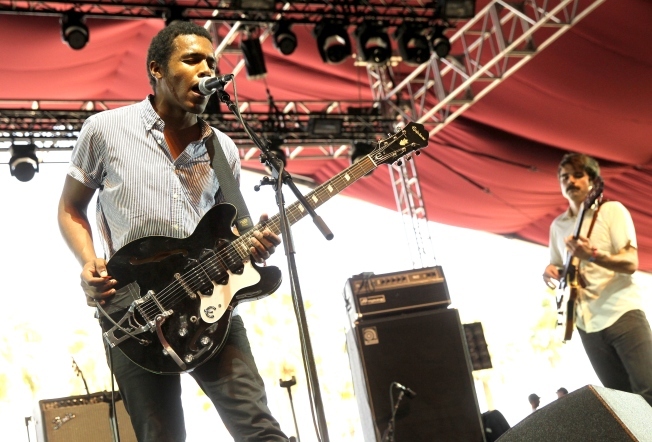 Meanwhile, Benjamin Booker is raved about and is playing tonight at the Belly Up, Hellogoodbye would also like to wax nostalgic at the Irenic for an early show (bands start at 7 p.m.), and "nuevo latino folk band" Y La Bamba return with a show at Soda Bar. It's a great way to kick off a weekend packed with amazing music.